Is Microsoft back to its old tactics? Some reports suggest so. A few users have reported that the company is back to automatically downloading the latest version of its desktop operating system on their PCs, even if users had chosen to block the update for a certain time. We had shared some tips on how you can delay installation of Windows 10 version 1803 on your devices (or move up the lane and manually install it without waiting for Microsoft to send you a notification). However, it appears that the steps haven’t worked for some users. As we had shared in our post, Microsoft offers this delaying feature to Windows 10 Pro users who can delay installation of feature updates for up to 365 days. This ability to delay Windows 10 feature updates enable users of Pro or Enterprise versions of the OS to get the update only when all of the issues have been fixed since it could create disruptions in an enterprise environment. The tip site AskWoody now reports seeing “several credible reports of 1803 being offered up to folks that have Windows 10 Pro, and have the updating deferral set to the Semi-annual channel.” For the uninitiated, semi-annual channel is Microsoft’s term for a Windows 10 update that’s considered tested and ready for deployment by organizations – something that usually happens around 4 months after the public release of a certain version. Since Windows 10 April 2018 Update is nowhere near that status, it’s only annoying Windows 10 Pro users who are being offered Windows 10 version 1803 on their machines with the deferrals selected. The dual scan scenario where the polices settings configuration is not set properly, we took changes to address this last summer, by adding a new policy but it’s possible that people have not figured it properly. The fix was to offer a new option but it’s possible that policy is not set. However, several users are suggesting that even with proper configurations, they have received the update notifications. This isn’t the first time that the company is facing these issues. 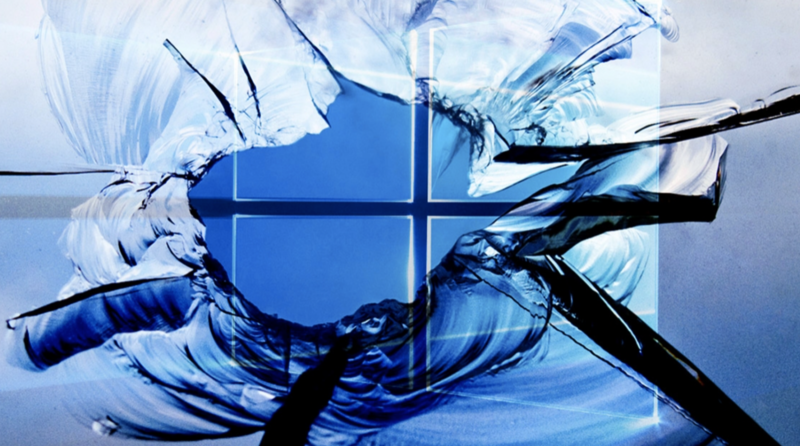 We have seen the company pushing Windows 10 on users without asking for their permission so it isn’t surprising that Windows 10 users now assume the worst when maybe their settings are off – which may not even be the case as some reports have hinted. Since its release, Windows 10 version 1803 has also seen a number of issues pushing Microsoft to block the update on Intel and then Toshiba SSDs and finally on PCs running Avast antivirus. If you are someone who is actually waiting for Windows 10 April 2018 Update, you can follow the steps here to manually download and install it. However, if you have experienced a similar issue on your Windows 10 Pro, you can follow this thread and send Microsoft log files and registry entries from machines that were updated even with deferrals set.